Includes the upgraded Professional Noise Cancelling Headphones, Belt Pack, the powerful Burst Tone Sound Generator and large carry case. Superior Signal Company is proud to announce the latest version of our most popular ultrasonic instrument – the 3rd Generation VPE. 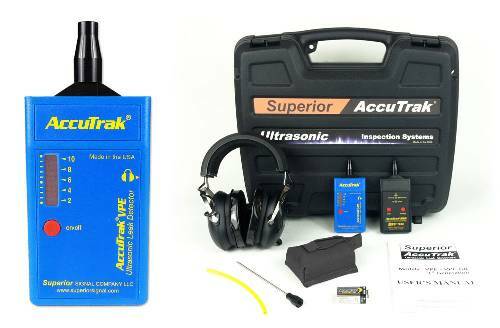 Featuring ALL-NEW internal circuitry, the improved AccuTrak® VPE stands out above all other Ultrasonic Instruments in its class. With even greater sensitivity and a number of new features unique to the VPE, no competitive ultrasonic instruments even come close.